A Ninewells doctor is gearing up for an epic cycle challenge in aid of a children's hospital charity. Keen cyclists are being given the chance of a lifetime to join one of the world's most famous athletes on a 265-mile adventure — all while raising cash for a Tayside charity. A novelty charity calendar featuring bearded hunks from Dundee has proven to be a big hit this Christmas. Over 600 Santas filled the streets of Dundee today to raise cash for The ARCHIE Foundation. 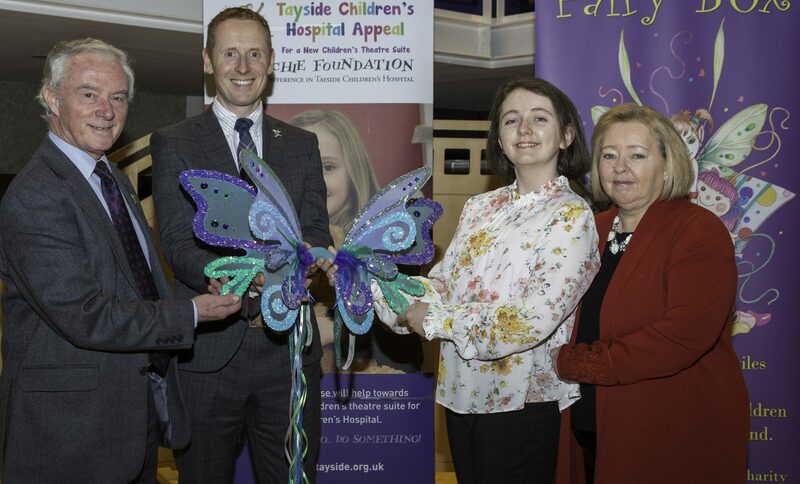 The official charity of Tayside Children’s Hospital has a new boss. The ARCHIE Foundation has appointed David Wood as chief executive following the departure of David Cunningham last year. David Wood, 56, has worked in the charity sector since 2009, most recently as chief executive of Community Resources Network Scotland. The phenomenal success of Dundee’s Oor Wullie Bucket Trail has been captured in a new book. Hundreds of runners in Christmas outfits took over Dundee city centre as part of the city's first-ever Santa Dash. A children's charity drive started by a Dundee mother has returned to hospitals across Scotland.